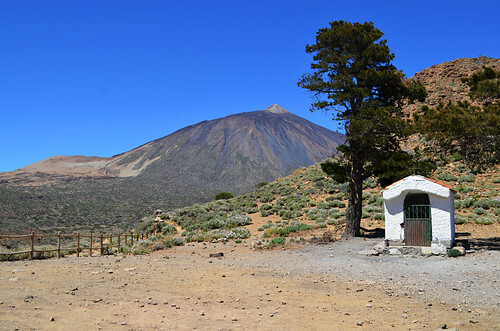 At the moment, we don’t actually include La Fortaleza in our walking routes in Teide National Park. It might seem an odd omission as it’s an excellent walk with a quite spectacular pay-off. 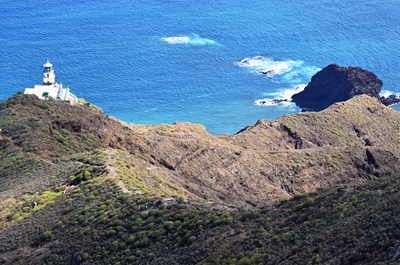 As walking trails go, it can be a bit of a hikers’ highway which is why we’ve opted for routes where the number of people thin out, or even disappear completely, as soon as you travel a few minutes from the tour excursion hot spots like the Parador and El Portillo Visitor Centre. However, we’ve walked the route twice this year and there was quite a contrasting personality between first and second times. 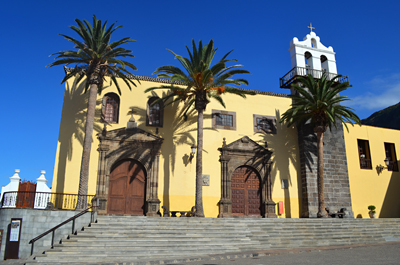 In March it served as a good route to try-out a new camera rucksack and limber up the muscles before we headed east to spend eleven days walking across Fuerteventura. 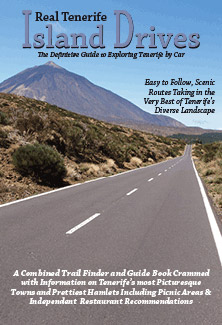 March is near the end of the main walking season on Tenerife and an ideal time for exploring Teide National Park. The sky is its usual intense blue up there but temperatures aren’t so sapping as in summer months. As a bonus, there was still some snow on Mount Teide. We walked two routes that day. 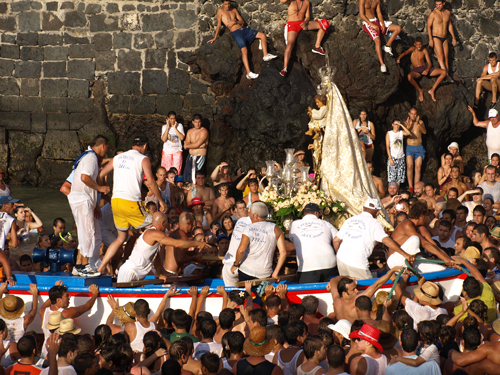 One we include in our walking routes (we didn’t meet anyone else once we were away from the main paths) and La Fortaleza where it was ‘busy’. Busy is relative of course. When I look back at the pictures, there’s hardly a soul to be seen. 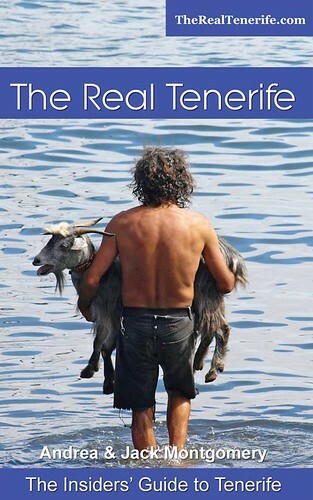 The oddest ‘walker’ we met was like a refugee from a hen night – pink cowboy hat and tottering along on high wedges. Fast forward to July and I think we met only two other groups on the route. We wouldn’t normally walk in the crater in July but our nephew Liam was visiting. 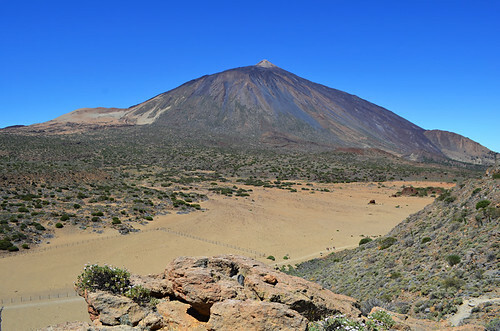 He loves Teide National Park and we wanted to show him a part he hadn’t seen before and La Fortaleza is quite an impressive sight. 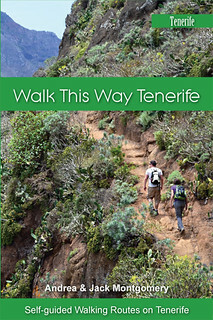 The path winds through a desert-like landscape with Teide, as always, dominating the scenery. 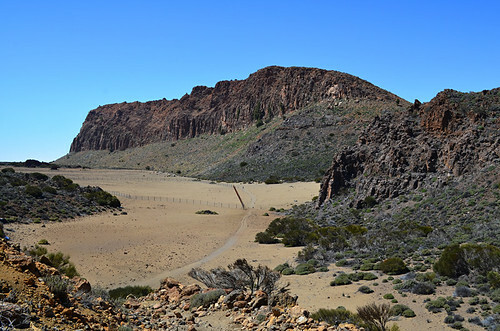 Dominating that is until you climb a ridge to be faced with a wide sandy plain where the sheer volcanic wall that is La Fortaleza steals your gaze away from the volcano. It’s not a particularly long route, but on a July morning the heat at altitude saps the energy. It’s a dry enough heat in winter, in summer combined with a searing, unrelenting sun it can make even shortish walks a tasking ordeal. In winter we dismissed it as being too busy. 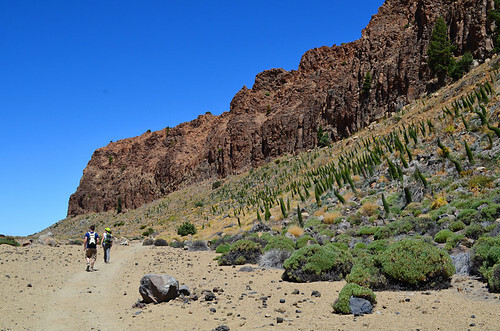 But in July, despite the energy draining temperatures, we enjoyed the walk so much that by the time we returned to El Portillo we were questioning our decision to leave La Fortaleza out of our Hiking Highs package. The jury is still out. Maybe we’ll just have to walk it a third time this year to get a casting vote. I’m pleased to hear that you are re-thinking this walk. It’s one of my favourites. I’ve only ever hiked it between Xmas and New Year and it has never seemed too busy to me. I wonder, though, if it makes a difference where you start? I park just beyond the end of the restaurants and go from there. You do need to pay attention on the way back though, or you’ll end at the visitor centre and its not a pleasant walk along that road. Also, you don’t mention continuing beyond the ermita but there is a very walkable path/road to the left that will take you to the summit of La Fortaleza. The park authorities (or someone) have even created a nice little loop trail along the summit and back to the road. Its clear though that they don’t want the casual walker to continue beyond that loop. Ans as long as I am commenting, can I add something about your Chinyero route? Its also a favourite now but I think its better walked in an anti-clockwise direction. You get to see Chinyero and the desolate landscape around it a bit sooner, and I think the view of Chinyero coming from that direction is more striking that going the other way round. Thanks Martin. We’re currently updating all the walks and looking at ways of improving some of them, so your suggestions are very welcome. 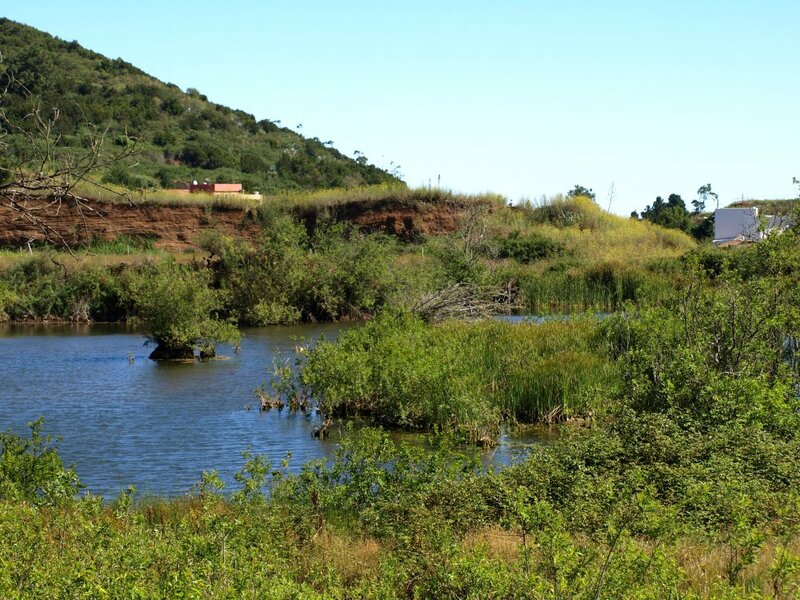 The question of which way around a route works is one we regularly ponder (two new routes we’ve walked recently have had us doing some serious chin rubbing) so it’s really interesting to know your thoughts on Chinyero. With the Fortaleza route I guess it’s all relative. 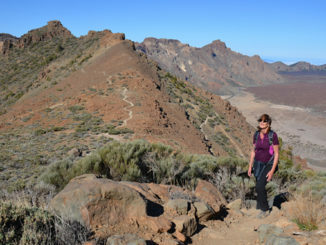 We’ve never found it busy like Masca, Roque del Conde or the Barranco del Infierno, only compared to some other routes where we rarely meet anyone else at all 🙂 It is a cracking walk.